Visit Cancun restaurants for delicious meals - DestinosFun! Mexican food is one of the most popular food styles around the world, so take the time to enjoy it in any of the restaurants in Cancun! 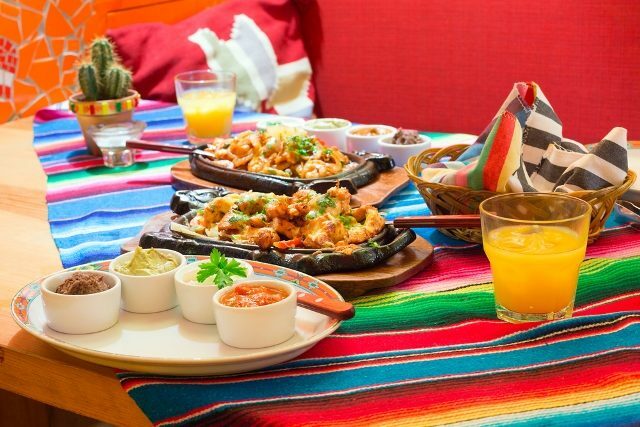 As Cancun is on the Yucatan peninsula, you will experience the distinct, rich flavor from Yucatan kitchens that will place all other Mexican food experiences in a close second. The mix of European and Mexican flavors meld together to create a not too spicy dish full of char-grilled meats. To absorb a little more Mexican culture head out to satisfy your culinary cravings on the Avenida Tulum and Calle Yaxchilan in downtown Cancun. These popular Cancun restaurants draw locals back time and time again and visitors can listen to Mariachi bands play around them while eating. Try some ceviche, a Latin specialty that uses fish or seafood such as shrimp and shellfish, chopped up with onion, cilantro and tomato and tossed into some freshly squeezed lemon juice. The combination of flavors will tantalize your palate, and have you coming back for more. So indulge your senses with the tastes and smells of Mexico in the restaurants in Cancun, along with the beauty and sounds that the city itself has to offer.